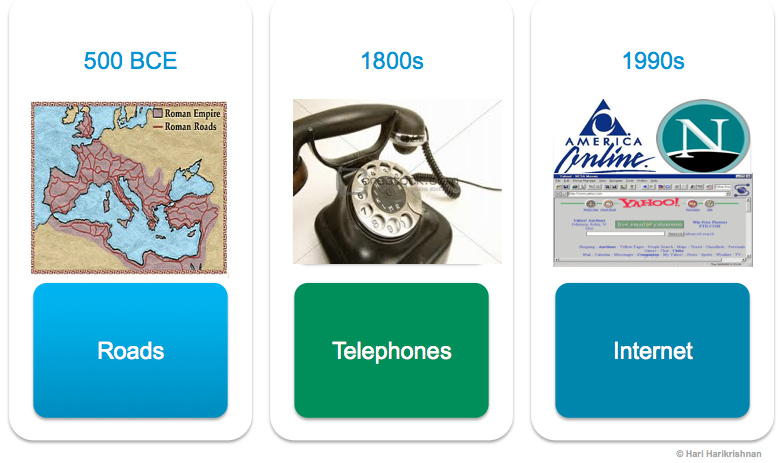 In previous posts on utilities, I talked about the evolution of common utilities like water, gas, electricity, and lately computers (Part I), and utilities that connect us like transportation networks and communication networks (Part II). Now we have virtual social networks on a virtual transportation network. In this post, let’s de-construct that virtual social network to see the near-term causes of its arrival. A decade ago we stared at people on the street seemingly talking to themselves, but were instead conversing with someone far away, wearing invisible headsets, communicating via tucked away phones. Today we stare at our smartphones, communicate in ways unimaginable a decade ago, often with a multitude of people simultaneously, as seen below. 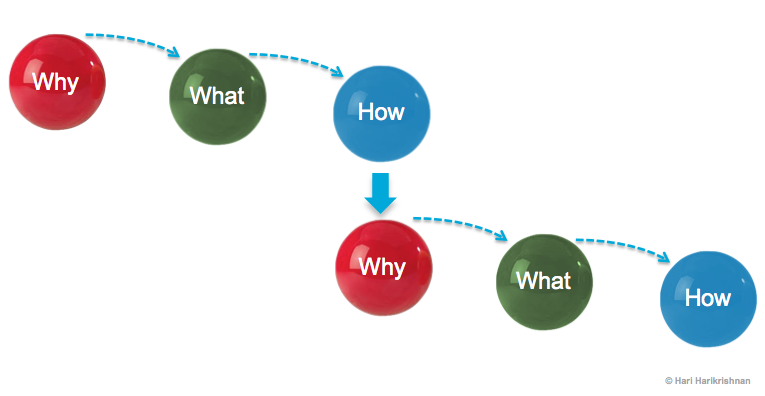 So what businesses and technologies lie behind this picture? 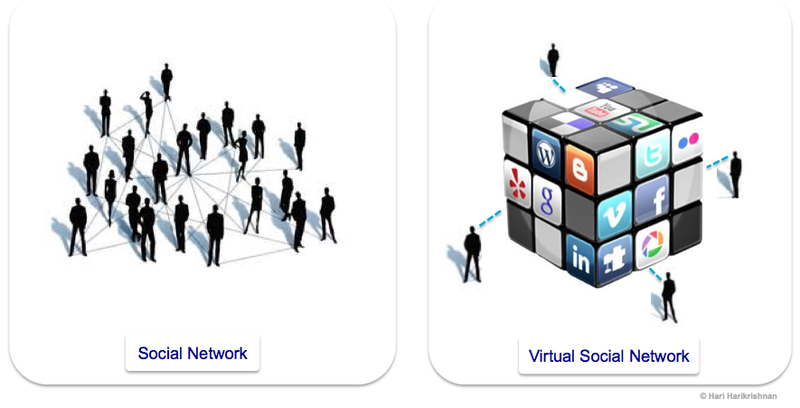 Behind the scenes, the virtual social network is enabled by connecting many computers of different types, by various types of wired or wireless links. Some of these are general-purpose computers, capable of running any program or application (“computing devices”). Some are purpose-built computers, running specific programs for sending and receiving data (“networking devices”). Some are hand-held computers like our phones. The networking devices are instrumental in enabling the other two groups to “talk” to each other. 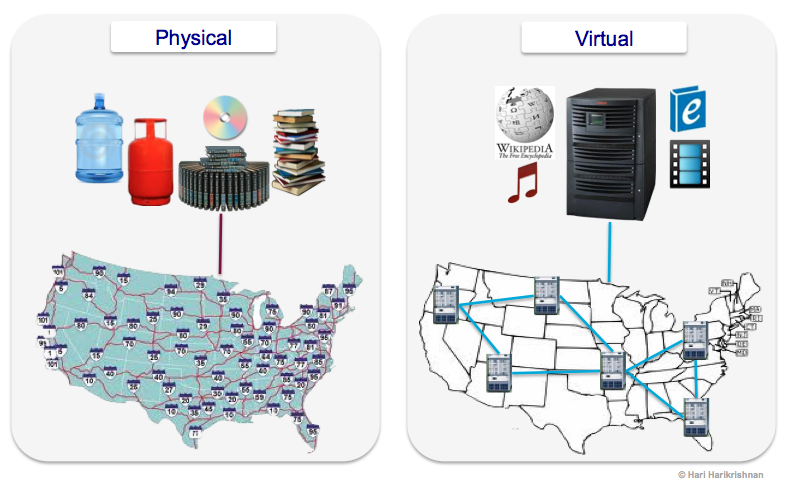 Each type of computers and its associated connections and storage mechanism could be termed a cloud. 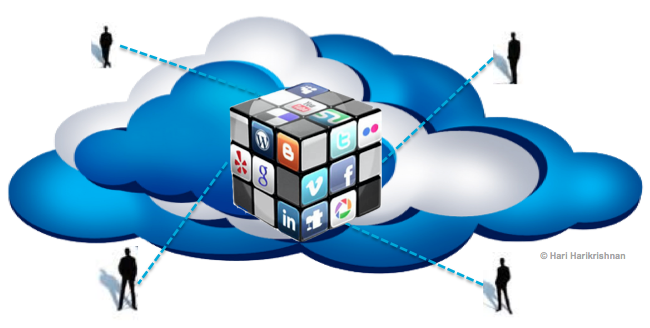 We have multiple clouds of each type – clouds of computing devices and clouds of networking devices. We connect to those clouds using our hand-held computers which seem like natural extensions of that cloud, like tentacles sprouting from a giant octopus. Here is an X-ray image of the virtual social network, showing its guts built up of these various types of computers and the different types of links connecting them. Let’s now split these clouds apart and see each in isolation side-by-side as shown below. On the left is a cloud of computing devices. The middle group is a cloud of networking devices. The right group is hand-held or traditional computers or phones. We begin to see the proximal causes of the virtual social network – a concatenation of two utility businesses, the computing utility and a communication utility, the Internet, and them bringing together multiple technologies. What transpires when we combined one utility that efficiently pools and distributes resources with another utility whose inherent purpose is to connect and enable all forms of human exchange is the still unfolding story of cloud computing and the Internet in the 21st century. Arab Spring is simply the tip of the iceberg of the enormous social change that awaits us. Silk road spurred on social exchange and commerce. How does this virtual network transform our economy built on physical goods and physical delivery of them? We are transitioning to an economy comprised of virtual goods, and their virtual fulfillment, using the concatenation of clouds or utilities we saw above. My pet collection of encyclopedias stopped being published in their physical form (Britannica, Encarta etc.). Encyclopedias are now delivered on-tap as a service. I virtualized my CD collection over 10 years ago when my rack of CDs got hosted in a “private cloud” in my home computer. They are still partly there and partly on a Cloud storage somewhere. Books and movies? Same story – either available on-tap or stored somewhere. See this transformation below. Water and gas are made available on-tap by the utilities. They continue to be delivered via physical network of pipes (This will continue until we find a new form of energy generation and distribution). However, as some wise soul observed, anything that can be turned in to bits and bytes will be. And they can be delivered on demand too. All this must happen. Why waste natural resources to build physical goods and transport them from place to place if you can accomplish the final outcome by consuming them virtually? Humanity will eventually connect to the virtual social network built up of multiple clouds using smart, unobtrusive devices. Is that smart device an extension of the cloud or is it an extension of us? If our devices are extensions of the cloud, what about us? Are we not by extension, part of that cloud too? Answer to all of them seems ‘yes’. Now we have broached the spiritual dimension of trying to make sense of where this will lead us to. Whatever be the next stage of this oneness with the cloud, social exchange powered by the network and computing utilities have set us on an irrevocable course of change.